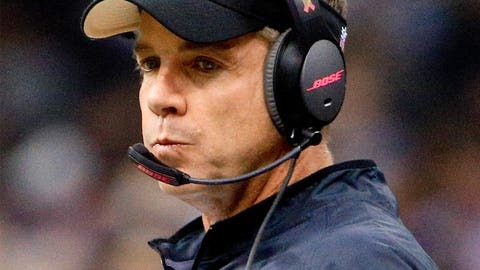 Saints coach Sean Payton pulled out his bag of tricks against the Indianapolis Colts on Sunday. The New Orleans Saints weren’t willing to settle for a field goal to put them up 3-0 early in Week 7 against the Indianapolis Colts. Instead, they dusted off the fake field goal from their playbook and reaped the rewards. Holder Luke McCown dropped a beautiful pass to Benjamin Watson for a 25-yard gain to the Colts’ 1. Khiry Robinson then ran in for a touchdown on the next play.